Mr. Shreedhar Kamat is a third generation Lawyer practicing in Karwar on the west coast of India. He has been practicing as a Laywer since last more than 40 years and has been a legal advisor for several Corporates in India. Mr. Kamat is a social activist and is engaged in several social and philanthropic initiatives in India. He believes that social transformation can happen mainly through education. Presently, he heads several Educational Institutions in the backward district of Uttar Kannada in Karnataka – India. There are more than 50 Educational Institutions under his Chairmanship with a student population of more than 10,000 in numbers. These Institutions provide value based education from Kindergarten to Post-Graduation levels. In association with Mr. Christian Kruger and Mr. Madhav Kamat, he co-founded Kruger Foundation for Child Aid, which provides support to the backward areas of Uttar Kannada district and other geographical areas of India in the field of child care, rural health and poverty alleviation programmes. “Gokul” – a home for destitute girl children is one of the initiatives of the Foundation. 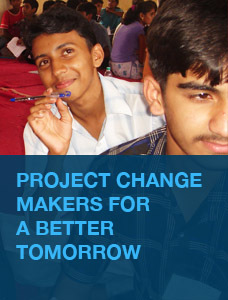 Other initiatives cover wide ranging activities like Rural Mobile Dispensaries, Financial Assistance for Education to those in need, bringing a change in the mindsets of the younger elements and make them positively oriented social entrepreneurs under its program – Project Change Makers for a Better Tomorrow, etc. Mr. Kamat is on the board of several companies in India and abroad. He is also actively associated with Co-operative Banking movement and is presently on the Board of Multi-State Co-operative Scheduled Bank – N.K.G.S.B. 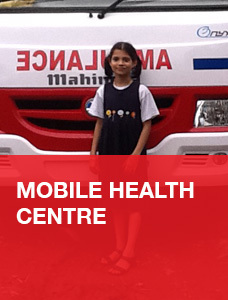 based in Mumbai and having branches in several states in India. Mr. Christian Kruger is an industrialist from Switzerland and he is the founder Trustee of Kruger Foundation. He is the President of the Board of Directors of M/s Kruger + Co Ag, Degersheim, Switzerland and owns the company. He is the third generation successor of Kruger + Co. which has established itself as a leading company in the field of ventilation, air conditioning, dehumidification and the like. His business activities extend to Europe and the Far East. He serves on the board of the Mobiliar-Switzerland’s oldest private Insurance Company, as well as other international Boards. As a student, he became involved in the Club of Rome in 1972 and saw first-hand the impact that can be achieved when prevailing theories are challenged by bold thinking and smart action. His association with India dates back to his early College days ever since when he started visiting India as an young seeker in the spiritual tradition of India. His association with Swami Nirmalanand in BR Hills in South India gave him a new insight into Indian culture and spirituality. His total number of visits to India exceeds 100. Keen to make a difference to those in need and a firm believer in the power of education, Mr. Kruger co-founded the Kruger Foundation for Child Aid in India, the Krüger Kinderhilfswerk für Indien in Switzerland, and a Foundation for his company employees. He is deeply interested in philanthropic activities and supports the philanthropic causes all over the world. Mr. Madhav Kamat is the Chairman & Managing Director of Electronic Automation Private Limited (EAPL) based in Bangalore, India. Manufacturing at EAPL commenced in 1984 with the first electronic timer called A1D1 which revolutionized the Automation market. The plant manufactures indigenously developed Electronic Timers, Energy Management System, Annunciators, Temperature Controllers, Power Supplies. EAPL Foundation was created by the company to promote public good and to provide help to the needy. He is one of the founding members of Kruger Foundation for Child Aid. Mr. Kamat is also a Trustee of Dhyana Mandiram Trust, Rishikesh, established by Swami Vedbharati, preaching and propagating the Himalayan tradition of spirituality and yoga. Mr. Madhav Kamat has authored an interesting book - Unfolding the Mindfield. He believes that business practices which are guided by a sense of ethics and morality can never be exploitative and that spirituality is, can and should be basis of all human endeavour. Mrs. Shreelata Kamat, wife of S.P.Kamat looks after the day-to-day functioning of Gokul, the flagship project of Kruger Foundation for Child Aid. Gokul was started with 6 girl children in 1986 at a house in Shejwad village of Karwar. It got its own independent campus in 1996. Now, there are girls of various ages pursuing their education at different levels. Three of them have since got married. Mrs. Shreelata Kamat actively handles the routine affairs of the Institution while interacting with the girls and staff on a daily basis. Mr. L.M.Prabhu, a lawyer by profession handles the accounts and records of Kruger Foundation for Child Aid. He has been associated with the Foundation since its inception.